Take a good look at number 3 – this means that if your network card sees packets that are sent from other PCs to other servers (without your PC being involved at all), your card will not even really look at them except to find out that it doesn’t care. So if you want to grab stuff that others are sending to each other, you’ve got a problem. By the way, if you’re capturing on a wireless card, you’ll need “Monitor Mode” enabled as well, or you’ll not see packets with their radio information. This is something you can’t do on Windows with Wireshark except if using AirPCAP adapters. Monitor Mode is basically turning your WiFi card into a “receive only” listening device for radio waves (which also means you cannot use it to communicate with the network while it’s in that mode), and is required to see packets from and to other devices. It comes down to this: if you don’t have both requirements in place, you can’t capture packets of others, just your own. The only exception is using ARP spoofing or other attacking techniques – which, you may have guessed it, are most likely illegal unless you’re authorized to use them on a test network. physically connected to any network in between those two (have you ever tried to get into a data center where nobody knows you? Yeah, that won’t happen). So basically, it’s highly unlikely you will get access to their packets if they’re not on your network. And even if they are on the right network, you need administrative access to the switches. Which (sadly) is not completely impossible because many of them still run with default credentials, so they’re easily hijacked. You can decrypt HTTPS traffic in a quite simple way by using the Session Keys log file written by Firefox or other browsers. For that, the browser needs to be configured to dump those encryption keys to a log file, and you need to get that log file. And, to clarify: I’m talking about the web browser of the person you want to steal the password from. Now, if you’re talking about decrypting your own HTTPS traffic, that strategy will work, e.g. following this tutorial. If you’re trying to decrypt HTTPS traffic of other users without valid access to their computers, it won’t work. You’d have to steal their session key file from their hard drive (which is illegal, by the way) after reconfiguring their web browser to store the encryption keys to disk in the first place (unless they did that themselves, which is highly unlikely, and if they are, they’re probably better at network captures than you are, so better run and hide), and then somehow grab their traffic at a location you should most likely not have access to. TL;DR: if you try to decrypt HTTPS sessions of other users, the session key log file method won’t work for you. The other option requires you to have access to the private key of the web server, which allows you to decrypt all connections to that server. Most security professionals reading the last sentence will now mutter something under their breath along the lines of “yeah, like THAT’S going to happen…” or “good luck with that…”. Just to give you an idea how likely it is for you to get a hold on the private SSL/TLS encryption keys to the Facebook servers let me ask you one thing: can you get a copy of the original recipe for Coca Cola? No? Why not? Right – for the same reason why you won’t get the private crypto keys from Facebook. They just don’t want anyone to be able to decrypt ALL the traffic except for the parties involved, just like Coca Cola doesn’t want you to have their most valuable secret. In one case I literally had to have a written order from the company’s CEO before the server admins of that company would hand over the private keys, and only handed over personally via encrypted USB stick, never via email. And this was for a network forensics job where I was authorized to decrypt the packets for investigative reasons. TL;DR: You’re not going to decrypt HTTPS to Facebook, Amazon, Twitter, or anyone else using strong crypto correctly when you can’t use the first method. If you’re disappointed by now I can totally understand. You can’t get easy access to packets of other users, and you can’t decrypt the sessions that hold the things you want to see most. If at all, you can only look at unencrypted stuff, and only on networks you have administrative access to. Which, let me remind you, is a good thing – it makes sure that it’s hard for others to read your private stuff, too. Or steal your logins. So if you have a valid reason to get those packets, you still can – capture at the right location, get the encryption keys, and go ahead reading the clear text in Wireshark. By the way, some final statistics: you’re not the only one interested in stealing passwords – 7 out of 10 search queries leading to my blog end up at this exact post. There might be some ‘hybrid case’ too – the protocol itself isn’t encrypted, but clear-text passwords never appear in the trace. For instance, HTTP with DigestAuth or CHAP – you’ll see only hashes flying by you. No luck! Right, that can happen as well, good hint. Thanks, Valdimir! I called Facebook and they wouldn’t give me their private keys. I asked very nicely too. Jerks. Next I’m going to call every Facebook user and ask them. How many users do they have again? One of the funniest moments in TV history. That is another way to turn the encrypted into the plain text. This does not change the fact that you can’t get the info without the keys, but it at least lets you know that there are some out there in the flow that might be getting the info along the way unless the client is looking really close. True, but for that you need to achieve a Man-in-the-Middle status (which is most likely illegal, once again), and more and more sites run HSTS, which prevents SSLstrip. Since many readers of this post are looking for Facebook passwords specifically: Facebook uses HSTS, so no SSLstrip without some additional fowl play (e.g. tricking victims into going through a non-english subdomain that isn’t HSTS enabled). Finally I can find an article which explains the whole picture in a calm way , one by one written all points. Thanks. As you said between server and user’s computer (client), there is a strong encryption and we cannot easily find it out from both ends. But when this encryption is happening between these both sides (server and client)? Finally at the beginning, they don’t know anything about each others’ (keys), and in one way they must transmit this information from one side to other side. I am talking about “Handshaking”…There must be an handshaking between them at first….am I right? Yes, there is a “Handshake”, which is using asymmetric keys so that no party needs to expose the encryption key used for the connection. You can think of it like this: one side sends its “public” key to the other side, which uses it to encrypt a session secret, and sends that encrypted secret back. To decrypt the session secret a “private” key is required, which is never transmitted over then network. Instead, the receiver of the encrypted secret (which is identical to the sender of the public key, as a reminder) uses it to decrypt the secret, and now both sides have an identical secret they can use for (the much faster) symmetric encryption. haha those discouraging words are heart touching!! you speak like security guys, those always shouting everything is in control and everyone is secured but we see even presidents accounts are taken down every now and then! Also, people are people and security is annoying, so every once in a while being lazy about security backfires. That’s the way it is. You could check the DNS traffic for domain names that the user calls, and then check how much traffic follows to the IP address for that domain. Or the HTTPS server certificates could give you a clue what HTTPS resources the user accesses. Hahahaha meinst du das ernst? I’m not at all a WiFi specialist – but radio capture is much more complex than wired capture because of frequencies, interference, channel selection etc. So in the end the problem is this: capturing the credential stuff is hard enough on a wired connection. Wireless can be worse (as long as HTTPS is in place, of course). Great article and thank you so very much! This has been a long unsolved question in my head and all the articles thus far have been exactly how you explained, click bait /hopeless and a waste of time. THANK YOU x like 10 years ! Your a true teacher, have a great day. One query. How do we observe a 2 tier thick client traffic. Database server and client both are in different location. Following tcp packet stream will help? 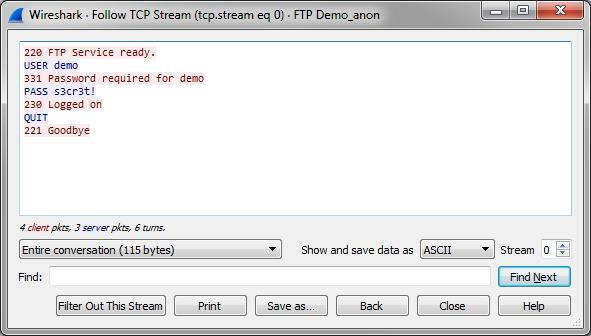 Follow TCP stream only works if you already have the packets in your capture – so the main question for you is how to get the packets. For that you need to be able to capture the traffic on the links where they pass through. If you can’t get access to those links you can’t do anything, including following TCP streams. Congrats for this articole, first of all! I kinda knew it was almost imposibile to hack a facebook password but the curiosity made me search about it on google. I am glad i came into this article. Thank you Jasper, I am finding your site a very interesting read as my employer is starting to think about network monitoring and realising that much of what they see on the wire will be hard to IDS due to DHE not RSA being used to encrypt the session key. 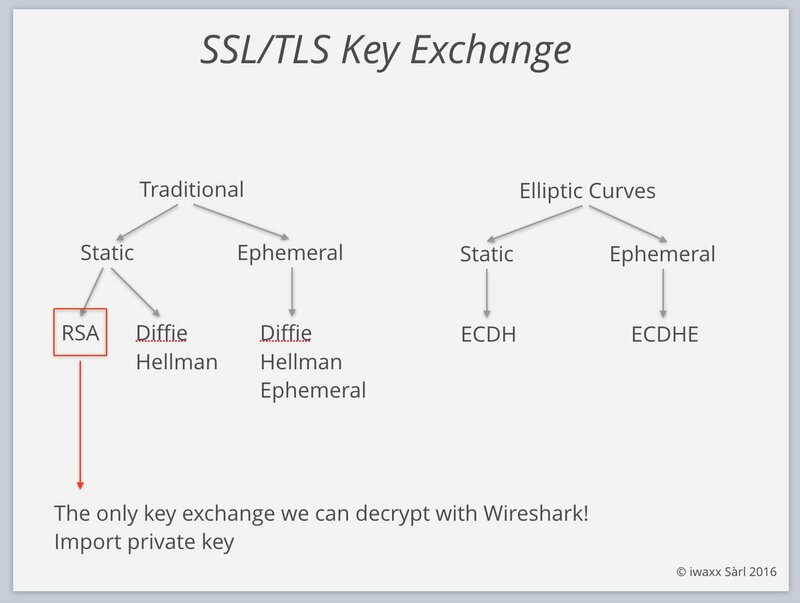 I did want to point out that wireshark does contain another method for decrypting TLS connections which is to have the session keys. See the (pre)-master-secret log file option in the SSL protocol config. Of course if you can set the SSLKEYLOGFILE environment variable on the host machine you probably already own it, in either the legal or hacker sense of the word. So, I got to the point where I have a password in hash form, I think. Now what can I do with it? It depends. If it is hashed with a salt (a unique part added to the password) it may not be possible to find the associated password. Otherwise you could try to google the hash and maybe find a cleartext password for it. There are also rainbow tables for common passwords that you might use. Or, if you know how, you could try to brute force it. The last two options require some technical know how though.